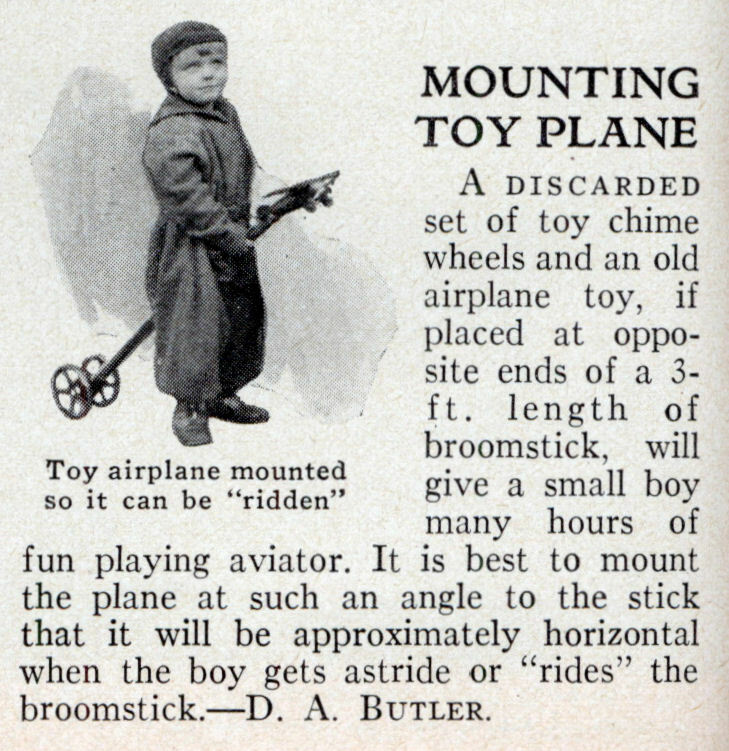 A discarded set of toy chime wheels and an old airplane toy, if placed at opposite ends of a 3-ft. length of broomstick, will give a small boy many hours of fun playing aviator. 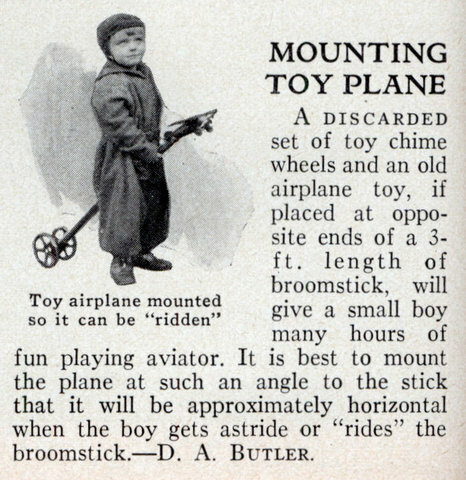 It is best to mount the plane at such an angle to the stick that it will be approximately horizontal when the boy gets astride or “rides” the broomstick.—D. A. Butler. So sad. This was during the worst of the Great Depression, so chances are this was the best toy ever for this little guy. He’d be an old man now, if he’s still around. 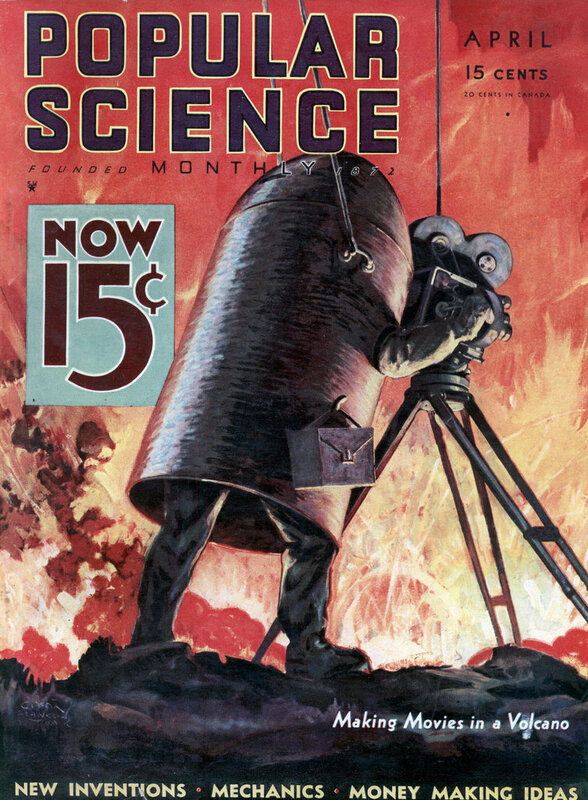 Everyone with kids should print this out and give them a copy every time they whine for more stuff. That’s the strangest Quidditch broom I’ve ever seen. @ Toronto – You’ve heard of Stickball? That’s for Stickquidditch. My father imported toys and then electronics from japan in the early 50’s, Suffice it to say I had no shortage of neat stuff to play with a a child. That said, some of my happiest memories were of playing airplane pilot using our kitchen chair, a cardboard box, and and a coat hanger. Imagination is a great playmate. I feel sorry for children now-a-days where even Lego is pre-designed for them.